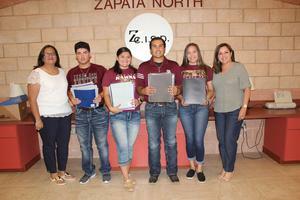 The "Helping Our Community Strive" Organization donated folders to Zapata North Elem. Students. ZNES wishes to thank these high school students for their commitment to helping our community succeed.